MEEKER | Meeker’s board of trustees heard a presentation about vaping from Rio Blanco County Public Health Director Julie Drake at Tuesday’s meeting. Drake said she’s concerned about the increase in vaping, particularly among young people. Vaping is the practice of inhaling an aerosol which contains nicotine, flavoring and additives from an electronic cigarette. The person exhales water vapor. It looks enough like smoking that law enforcement has a hard time telling whether someone is vaping or smoking in situations where smoking is illegal. As marijuana products can also be “vaped,” that increases the possibility for confusion. Because vaping is so new, the potential long-term consequences to health are unknown. 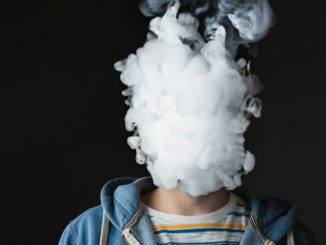 Vaping was initially marketed as a way to help people quit smoking, Drake said, but studies have shown that most people who start vaping to quit smoking cigarettes end up being dual users taking in more nicotine. Currently, 20 communities in the state have created ordinances around vaping, something Drake said she would like the board to consider. 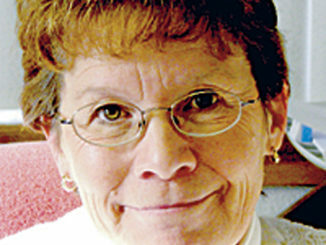 Town Clerk Lisa Cook said eight people have picked up nominations for the three open seats on the board. Two packets have been completed and returned. Public Works Superintendent Russell Overton said his department is “just trying to stay busy,” with the deficit of snow to plow. They did respond to a water leak near 13th and Main in December. Meeker Chief of Police Phil Stubblefield shared the department’s annual report, which included 57 arrests in 2017, 40 males and 17 females. He also said they are wrapping up a sexual assault case involving exploitation of a child in which there are multiple out-of-state victims. In other business, the board recommended Amy Tupy as the joint town and county representative on the library board. The county commissioners will have to decide between Tupy and Ann Franklin. In case of a “tie,” they’ll draw a name. The annual liquor license and tastings permit for Blanco Cellars was renewed. The next board meeting will be Feb. 6. The town will have a meeting of the Meeker Urban Renewal Authority board prior to the 7 p.m. board of trustees meeting. How about this. The government whether it is Federal, State, or Local stop trying to enforce on the people that which “They” believe is “Good” for us. Time and again it has been proven that government rarely has the peoples best interest at heart. Next, there is a flaw in the science as described here, our lungs were initially designed to breath fluid. We do so for nine months. There are several advanced diving systems the use fluid as well. Nebulizers also use a saline water vapor to administer medications. To be clear, I am not saying vaping is healthy. Anything with nicotine is not. However, the basis for this is stretched. More importantly, it is being asked that another restriction be placed on individual rights. Something that needs to be thought about very carefully.